These 50 hairstyles for thin hair will show you just how important the styling technique is for creating the right look. If your fine hair lacks volume, then maybe you should consider changing your hairstyle. Take a look at these amazing cuts that will make your hair look fuller and better. 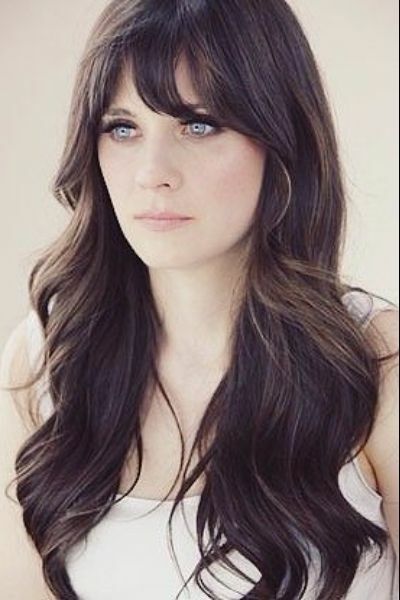 Bangs, choppy layers, and highlights are only some of the elements that will make your thin hair look fantastic. From daring pixie cuts to choppy stacked bobs and all the way to long layered hairstyles, our list will show you the impressive amount of options you have. This is one of the classic hairstyles for thin hair. The choppy sides will provide you with an impressive volume and the discreet bags will add structure to the cut. Asymmetrical cuts are excellent for thin hair because they create the impression of significant volume. This short messy bob also features bangs, which also contribute significantly to the final effect. This shaggy layered bob adds structure and volume to thin hair, which makes it a key look. Complete the look with bangs to get the full effect of this short messy hairstyle. Pixie cuts are absolutely fantastic for thin hair. This layered pixie is made to provide booming volume. The short bangs and the blonde highlights offer structure to the look and make it complete. The top layers are significantly shorter than the bottom layers in this shaggy bob because this significantly increases volume. In fact, the bottom area features a cascade of shaggy layers that complete this fantastic look. This is one of the go-to hairstyles for thin hair, precisely because this length is ideally suited for hair with less volume. This cut looks great on straight as well as wavy hair and it will not require too much daily styling. This is one of the shortest pixie hairstyles for thin hair out there. In fact, this glamorous cut is a miracle worker for women with fine hair because it completely reinvents their style. The extra short bangs are a key element in this stunning cut. This short bob hairstyle looks fantastic on women with thin hair because it provides them with excellent structure. The long side bangs complete this adorable look. Thin hair does not necessarily mean that you have to resort to short hairstyles only. This layered hairstyle for long thin hair proves that the right technique can do wonders. This lovely pixie is one of the classic short hairstyles for thin hair. The top layers are made to add volume and the short bangs complete this gorgeous look. Inverted bobs are yet another excellent hairstyle for thin hair because they add volume naturally. In fact, the choppier the bottom layers, the better because this controls the volume. The long bangs in this adorable pixie cut add a romantic effect to the final look. The short top layers will provide you with significant volume, so it is a cut that you should definitely consider. The side part and long comb over look amazing. 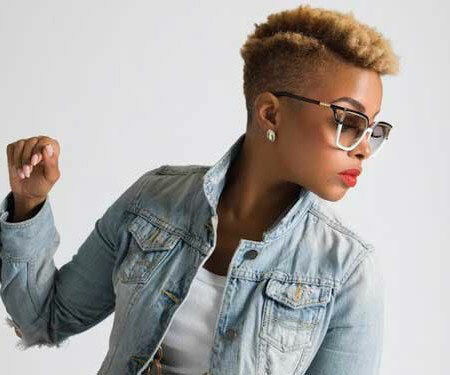 This short pixie is one of the best short hairstyles for thin hair because it is extremely easy to style. In just a few minutes, you will be ready and you will look fantastic. 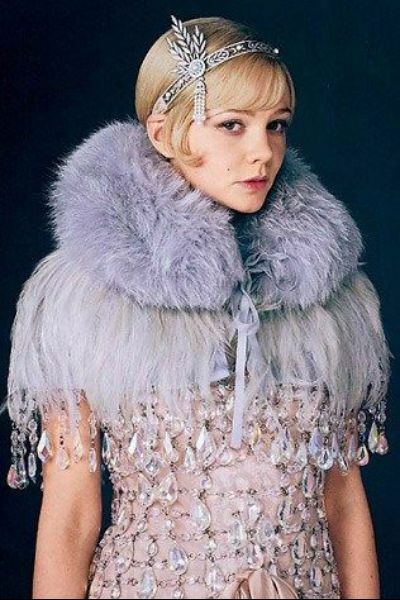 The Daisy Buchanan extra short bob is a very chic look for thin hair. It is one of the best hairstyles for thin straight hair because it provides natural volume. Emphasize your beautiful eyes with this darling pixie cut. 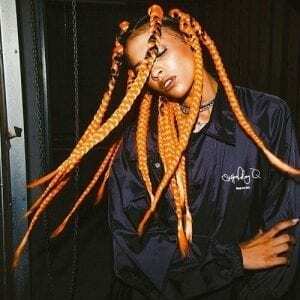 This daring cut is one of the best hairstyles for thin fine hair. At this length, even the thinnest hair will have amazing volume. The faded sides make this boyish pixie cut an excellent hairstyle for women with fine hair. The natural part provides structure to the look and short comb-over makes it look stunning. This hairstyle is tailor made for fine thin wavy hair. The short bottom layers ensure natural volume, and you can style the longer layers at the top to look gorgeous. 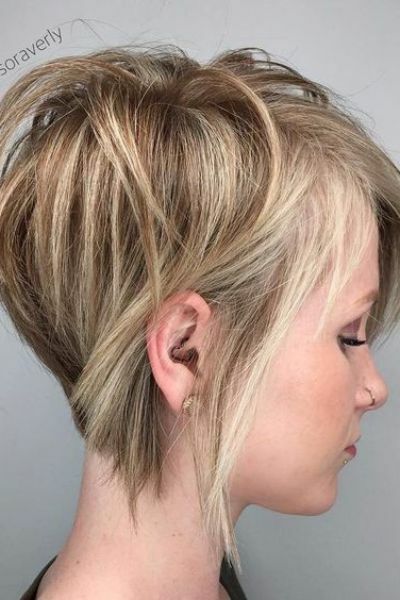 We absolutely love the long layers in this fabulous pixie. This statement look is extremely elegant and it will look fantastic on straight thin hair. An even bob with central part will look fantastic on thin hair. You can use a round brush to style it and in just a few minutes, you will get a classic elegant look. Choppy layers look fantastic on thin hair because they maximize natural volume. 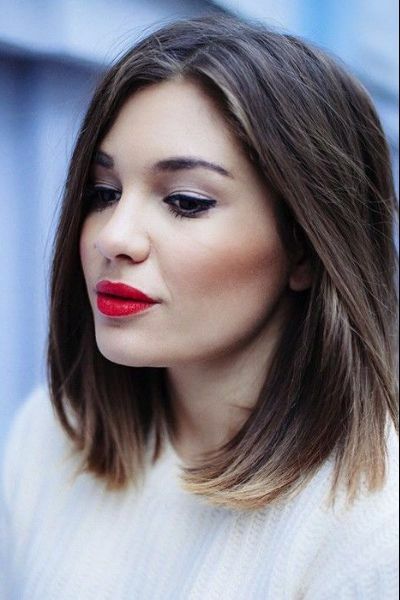 Let your waves roam free with this adorable choppy bob and you will look amazing! This is one of the most elegant hairstyles for short thin hair. The long side bangs are the central element in this look because they dictate the entire structure. This is a lovely long pixie that will look fantastic on thin straight hair. The delicate short bangs complete this elegant look and make it delightfully delicate. If you want a more adventurous look, try out this choppy long layered pixie. It will provide you with all the volume you need and you will look stunning with minimum effort. This is one of our favorite medium length hairstyles for thin hair. 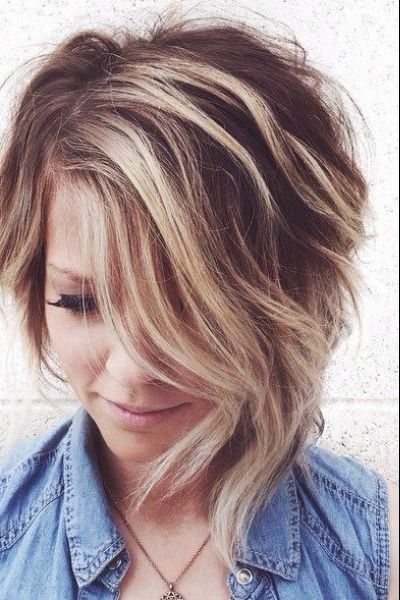 The natural part makes this look extremely delicate and the shaggy layers make it delightfully messy. Add a few light colored highlights to complete this amazing look. This is one of the statement hairstyles for thin hair. Asymmetrical cuts are an excellent choice if you want to add volume to your fine hair. The shorter side will have more volume due to the length of the hair and the longer side is especially made to add structure to the final look. The thin long layers dictate the structure of this elegant hairstyle and the short choppy layers provide stunning volume. This makes this one of the best hairstyles for thin hair. If your hair is naturally curly, a short bob is one of your best options because this cut maximizes volume and accentuates your lovely curls. 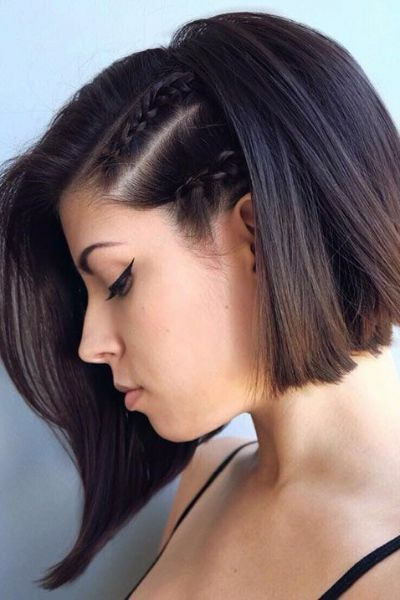 A-line bobs are excellent hairstyles for thin hair. 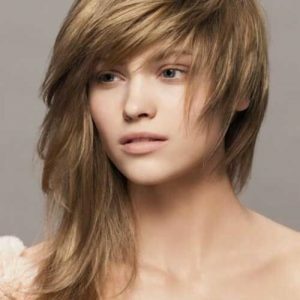 While they may not provide as much volume as choppy layered bobs, they boast a classy look that you will love. You will have to spend a few minutes to style it properly but it will look stunning every time. If you have thin wavy hair, then this short choppy bob is one of your best options. Experiment with the multitude of layers and the statement side bangs and you will look fantastic. The longer layers in this stacked bob hairstyle are a subtle element that offers the ideal amount of volume to the final look. Accentuate your naturally straight hair with this stunning look. 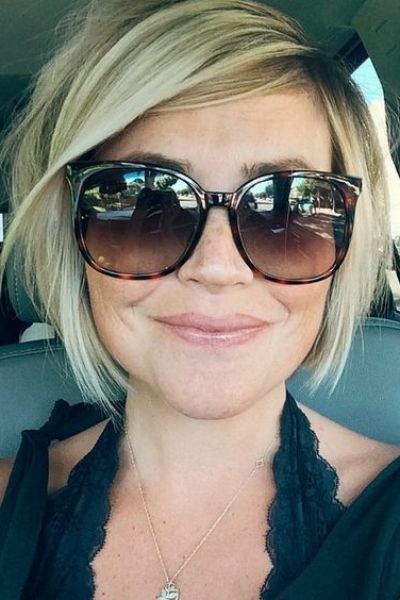 This extra short bob is an excellent look if you are outgrowing your pixie cut. We strongly recommend highlights because these provide a solid structure to the final look. 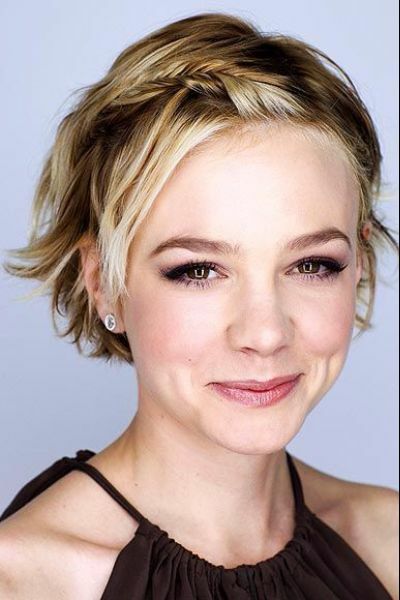 This delicate bob with bangs and side part is one of the cutest hairstyles for thin hair. It is very easy to style, so you can save quite a bit of time in the morning. You can also use hair clips and small accessories to make this look even sweeter. French bobs are the best short bobs out there. They are also some of the best short hairstyles for short hair because they allow the hair to regenerate. This will create excellent natural volume and the final look will be outstanding. This layered bob is one of the classic medium length hairstyles for thin hair. If pixie cuts seem overly dramatic to you, then add volume to your thin hair with this elegant hairstyle. This short layered bob will accentuate the natural volume of your hair. A few highlights can make a significant difference because they will contribute to the volume effect. 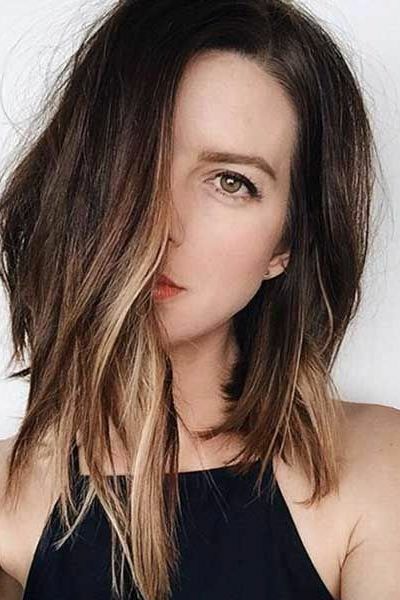 One of the most attractive medium length hairstyles for thin hair, the long asymmetrical bob is extremely flattering no matter how thin your hair is. Style your longer side with a round brush to create an amazing hairstyle. 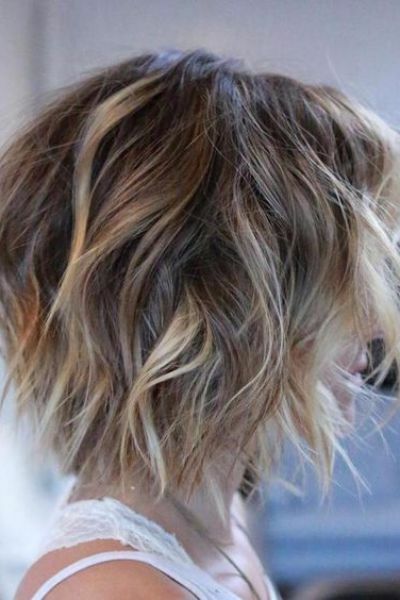 This messy asymmetrical bob will highlight the delicate nature of your thin hair. The choppy layers will provide you with the volume you are looking for. You can style this gorgeous cut in just a few minutes and it will look fantastic. Long asymmetrical bobs are the best hairstyles for thin hair. If you have wavy hair, you will get to enjoy the full effect of this amazing cut. Try out a blonde ombre to accentuate your amazing layers and add structure to your look. Try out some glam loose curls to get the most of your bob hairstyle. These are easy to do at home and you will look extremely elegant. This cute bob hairstyle for thin hair will provide you with enough volume to look your best all day long. The side part adds a classic touch to this look; it also makes it an excellent option for women with round faces. This is one of the simplest hairstyles for thin hair and also one of the most elegant out there. It is easy to style and it will complicate your delicate hair in the best possible way. This is one of our favorite long hairstyles for thin hair because the gorgeous layers create an effortlessly elegant look. 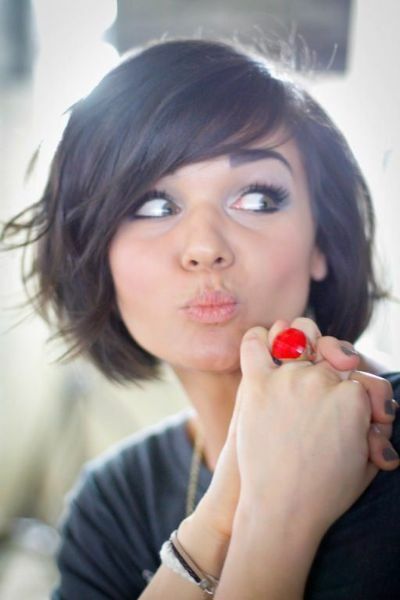 This chic choppy bob will look amazing on women with round faces. It is one of the key hairstyles for thin hair because the choppy edges create an excellent filling effect. This is one of the best long hairstyles for thin hair. 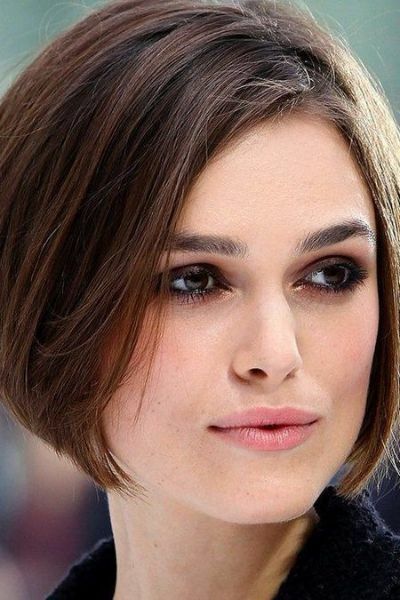 In fact, it is also excellent for women with round faces because the short bangs create a rounding effect. The delicate layers will create a fuller look for your long hair and you will look stunning. The key elements in this hairstyle are the layered edges and the short top layers. Both these elements add volume to the final look, thus making this simple cut excellent for thin hair. This cut is perfect for long wavy thin hair because it puts your amazing waves to good use to create extra volume. The layered bangs complete this look and make it one of our favorite hairstyles on the list. This short hairstyle is simply impossible to ignore. The extra short layered bangs and the choppy edges of the even bob make this an excellent hairstyle for thin hair. If you have thin straight hair, we recommend you either keep it very short or impressively long. 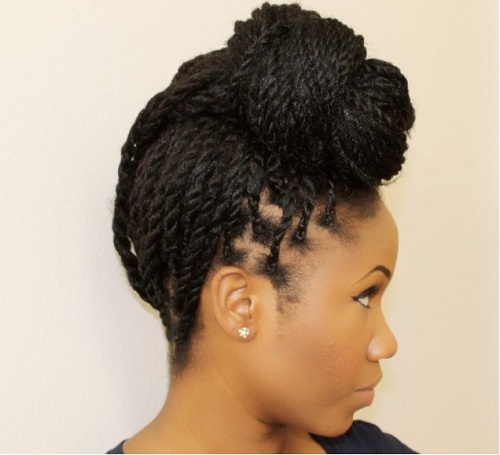 This hairstyle should be your goal for the ideal long hairstyle because it is perfect in every way. The subtle bottom layers add a delicate structure to this hairstyle and the result is fantastic. If your hair is naturally wavy, try out a longer even bob with choppy edges. This is an excellent look, especially if you want to grow your hair out. The more layers in your cut, the more natural volume you will have. 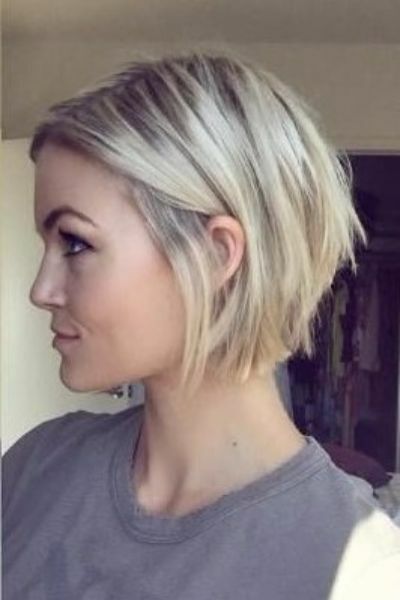 This cut is perfect for women with shoulder length thin hair. The layered bangs complete this amazing look by adding a strong structure. 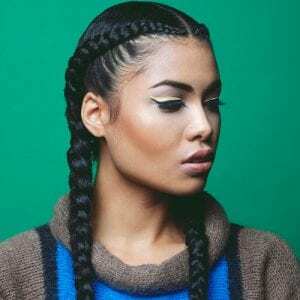 These 50 amazing hairstyles for thin hair prove that there are so many ways to add natural volume to your fine hair. Whether you want a daring pixie cut or a stunning bob, you have quite a few options to choose from. With these excellent hairstyles, you will never have to worry about flat hair ever again! You are confusing “thin” hair with “fine” hair. None of the women in these photos has thinning hair; they all have fine hair. A hair site should know the difference! Still, the photos are nice. Thank you for your comment, Jhonea! Indeed none of these women have thinning hair, however, they to do have thin hair, which refers to the density of the follicles. While some women can have thin coarse hair, some have thin fine hair, fine hair referring to the thickness/diameter of the actual individual strand. 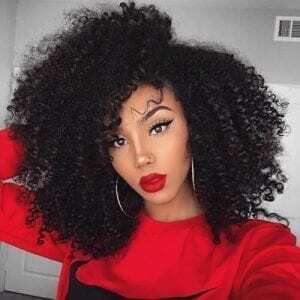 In the examples illustrated in this article, we have women with thin hair, while some may also have fine hair, for more clarification, you can check out our article dedicated especially to fine hair: https://hairmotive.com/bob-haircuts-for-fine-hair/. I would really like to see more long styles for thin hair. Like, down the middle of the back. We will surely have more articles about thin hair in the future, keep checking the website for new articles. Thank you for your comment and have a great day!